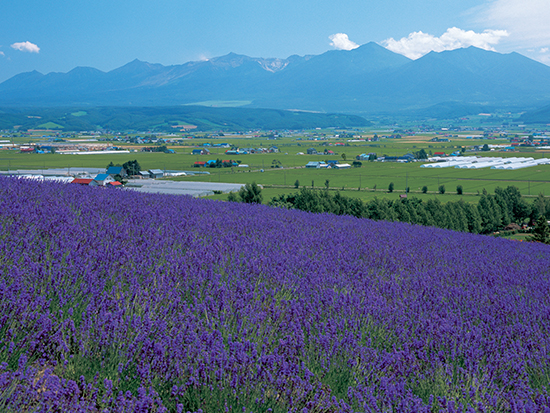 This course is a day trip sightseeing tour that you can enjoy "from the morning" by JR "Express Train Furano Lavender Express" and sightseeing buses from JR Furano Station to Kamifurano and Biei. 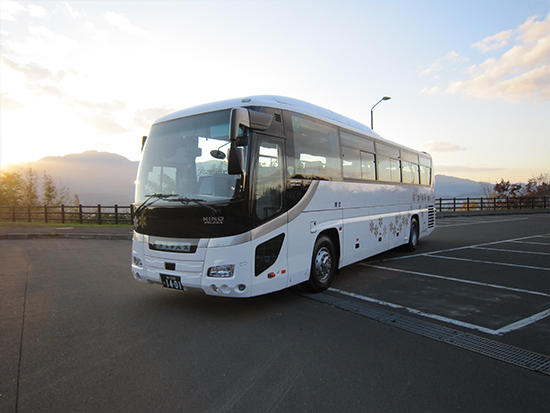 Guests of the hotel can also get off at the hotel in Furano City while sightseeing the bus, and can also go to Asahikawa from Biei station, it is a tour of Biei sightseeing limited to the summer season. 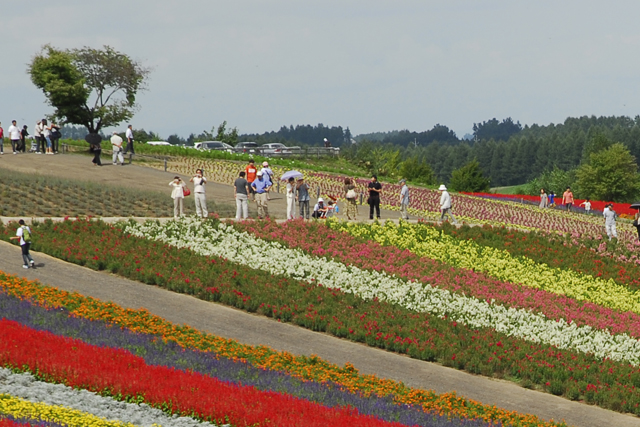 The first thing to visit is departing from lavender and other colorful flowers blooming in vast nature [Farm Tomita]. Farm Tomita has various flower gardens, and the largest dry flower arrangement exhibition space in Japan "Dry flower building" is the ultimate in art. In addition, lavender soft cream regardless of age is popular. After departing from Farm Tomita, we will head to [Senbotoge] via one of the eight view of Kamifura 【Panorama Road Ehana】. This place is selected as Kamifurano Hakkei, it is a superb scenery that you can enjoy the panoramic view of the seasons, which overlooks the Furano basin. Going to the next, it is located in the middle between Biei and Furano, the total length goes up to [Shikisaino-oka] via 【Roller coaster path】 named because the up / down of about 4 km continues. It is a beautiful hill where you can catch sigh ahead, it is an entertainment garden symbolizing Biei with pearls, experiences like Hokkaido, including vast fields. 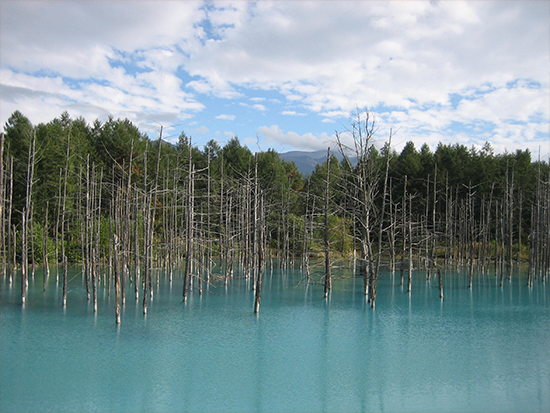 Enhance your feelings Next destination, you can enjoy the mysterious world [Aoi-ike] Spread quickly in around the week from around 2010. Some people express it as light blue or green, and they show various expressions depending on the angle of view and the four seasons. After enjoying Aoi-ike, we will head to another mysterious place, [shirahige-no-taki]. 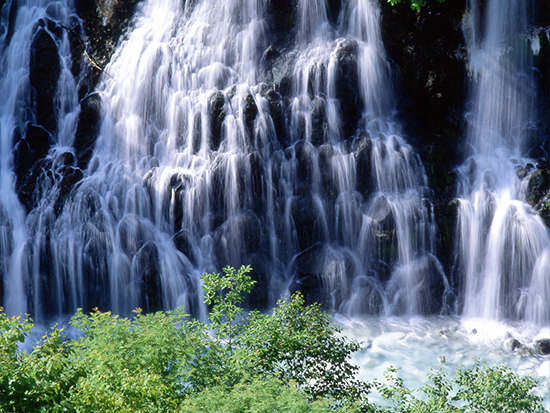 Shirahige-no-taki, also known as a power spot, is a place where the water rising from the dominant groundwater flows down to the mountain stream of platinum casket quickly and the clear river of cobalt blue raises the splash. Next to shirahige-no-taki, we head to 【Northwest Hill Observation Park】. Located in the north-west of the city, the landscape of the hill overlooking this observatory, as well as the lavender fields in the park are superb. At the end of the tour, we will go through the so-called Patchwork Road. It is a sightseeing spot that is representative of Biei, a place that is also used for shooting commercials, posters, etc. and also dotted with "Seven Star's Tree", "Ken and Mary's Tree", "Mild Seven's Hill" is. After that, the bus will send you and JR Biei Station, JR Furano Station, Baseline Bus Stop, Hotel Naturwald, Furano Prince Hotel, New Furano Prince Hotel and Customers. ※ When making a reservation, please select in 【place of getting off】 in (question column from facility). Furano Ekimae Bus Terminal ① No.